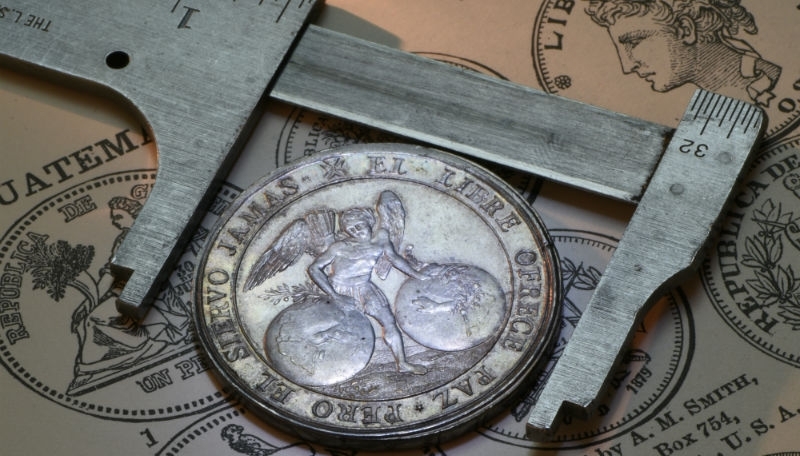 There are much more to coins than just "heads & tails"! 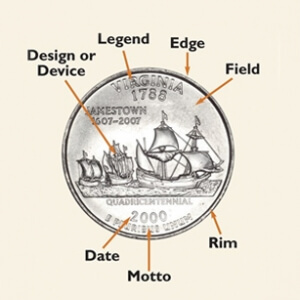 Scroll down for two images showing the different parts of a coin, including the proper names for each side of a coin. 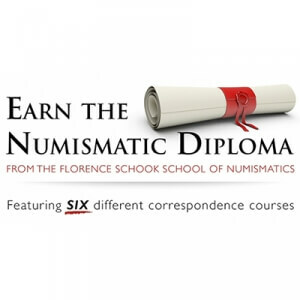 The American Numismatic Association offers individuals the opportunity to discover and explore the World of Money by enrolling in the School of Numismatics Diploma Program. Obverse, or “heads” side of a 2000-D Statehood quarter. The obverse side, depicting the familiar portrait of President George Washington, was modified slightly to include some of the wording previously used on the reverse. Reverse, or “tails” side, of a 2000-D Statehood quarter commemorating the founding of each state. Launched in 1999, the 50 States Quarter program features five new designs per year through 2008. 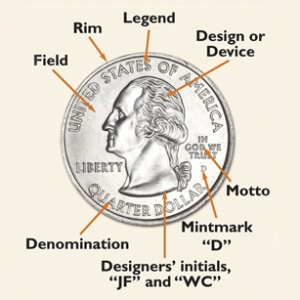 The “D” mint-mark indicates it was made at the Denver Mint.